Elam & Burke is excited to announce Ms. Conrad becoming shareholder of the firm. Ms. Conrad’s practice focuses on local economic development with extensive representation to urban renewal agencies throughout the state on issues including structuring of private-public partnerships, government contracts, tax increment financing, litigation, appeals and governmental relations. 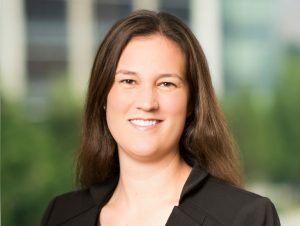 Ms. Conrad’s practice also includes representation of a commodity promotion and research program, consumer and commercial lenders in foreclosures and collections, and she participates in insurance defense litigation. Click here for additional details or contact information.